Candidates are reminded, however, that the IBPS Clerk Admit Card has not yet been released. This is because the IBPS Clerk Application Process is currently going on. Further updates regarding the IBPS Clerk Prelims will be released as soon as the application date closes. IBPS has declared that they will release the IBPS Clerk Admit Card tentatively in the month of November 2018. Till then, candidates are requested to wait patiently as the IBPS is holding the Pre Examination Training from 26th November to 1st December. All the details regarding the IBPS Clerk Prelims Admit Card are enlisted below. Make sure you go through the page carefully. Candidates who are in search of the IBPS Clerk Prelims Call Letter 2018 are notified once again that the IBPS Clerk Prelims Admit Card has not yet been released. The Official IBPS Clerk Prelims Admit Card release date is set to be in the month of November. We assure that this page will be constantly updated with the latest information regarding the IBPS Clerk Prelims Admit Card 2018. So keep an eye out on this page for the latest and most accurate updates regarding the IBPS Clerk Prelims Call Letter 2018. Provided below is a link to the official IBPS Clerk Prelims Hall ticket Download page. As of now, this link is inactive. But this link will be activated as soon as the IBPS Clerk Call Letter is released. So bookmark our website and revisit this page as soon as the IBPS Clerk Prelims Call Letter is released. The IBPS Clerk Preliminary exam is set to be conducted on the 8th, 9th, 15th and 16th December 2018. Candidates are advised that scoring well in the IBPS Clerk Preliminary exam is the only means by which you will get selected for the IBPS Clerk Mains Exam 2018. Therefore it is advised that all the candidates be well prepared for their IBPS Clerk Preliminary Exam 2018. The IBPS Clerk Recruitment is an all India Recruitment. This means that the Recruitment will be held for Candidates from all over the country. Therefore, to accommodate all these diverse candidates, the IBPS has arranged for specific Examination Centers in all the States and Union Territories. A complete list of IBPS Clerk Prelim Exam centres have been listed below. Candidates are reminded that they must select the exam centre of their convenience. Candidates can select up to 2 exam centres. IBPS will try to accommodate you in the centre of your preference. How to Download IBPS Clerk Prelims Admit Card/Call Letter 2018? 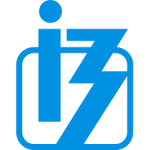 The IBPS Clerk Prelims Call Letter will be available @ ibps.in. 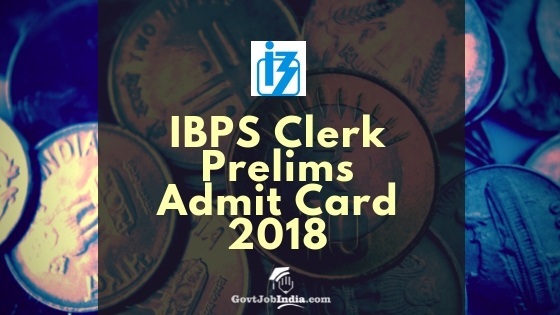 IBPS Clerk Prelims Call Letter download Procedure is very simple and all you have to do to get your IBPS Clerk Call Letter 2018 is enlisted below. Once you have logged in you can proceed to the Download IBPS Clerk Prelims Call Letter option which will be highlighted on the page. This is assuming that the IBPS Admit card 2018 has been released. If the option is currently unavailable then you can wait patiently for the IBPS to release their IBPS Clerk Preliminary exam call Letter 2018. Once you have downloaded the IBPS Clerk Call Letter 2018 you can move onto taking a printout of this document as you are expected to carry a print out of the Call Letter along with a valid identity proof for the IBPS Clerk Prelims Exam 2018. And just like that, you have finished the IBPS Clerk Call Letter 2018 Download process!